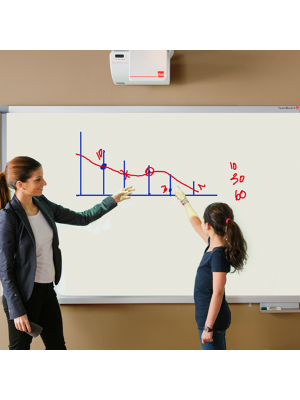 Smart Media World IWB-IR06 Interactive Whiteboard is the best tool if users wish to modernize and enhance the quality of communication in their schools or conference rooms. This comprehensive whiteboard package meets all collaborative communication demands considerably at an affordable price. 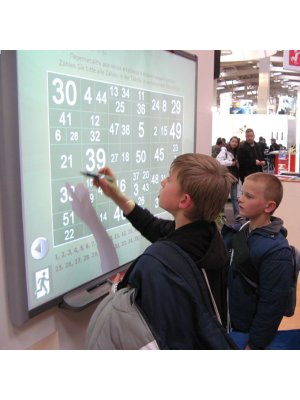 The 84" interactive whiteboard with 6-pt multi-touch capacity has been developed with the contemporary needs for multi-user interactivity in mind. Accommodating up to 6 participants at a time is the highlight feature of this Smart Media World IWB-IR06. The 4:3 aspect ratio ensures that all collaborators can work coherently without unnecessary congestion. 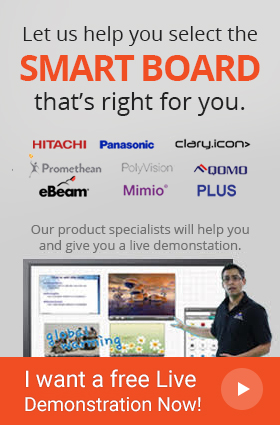 IWB-IR06 Interactive Whiteboard has the SmartMedia IWB software as its heart. This extremely easy-to-use software has astounding usability for users. It allows users to import almost any file format into the whiteboard and play with them the way they want. Preparing lessons/presentations is made easy with the helpful annotation tools that empower the user to edit data the way they want. Features such as OCR and shape recognition allow accurate annotations with their patterns intact. 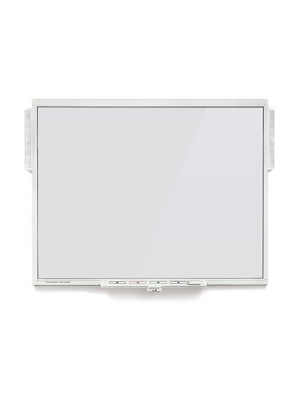 By connecting through USB or Wi-Fi, interactivity can be maximized through whiteboard sharing. Furthermore, IWB-IR06 is the best for saving whiteboard sessions to any file format. Users may also save them as an .IWB file, which is the common file format for whiteboards, which allows them to reopen and continue with their whiteboarding right from where it was left.